With so many people turning to the web to get referrals, from restaurants to dog sitters, it’s important to make sure your business is getting it’s fair share of 4 and 5 star testimonials. Not only do you need people to give you raving testimonials, you also need them to be in the right place. Not all review sites are created equal. Make sure your company has a profile setup on all sites that people are using to review your business. Read the reviews and respond to them accordingly. You may gain a massive amount of respect by addressing a negative review. You may also increase your business by simply thanking a customer for their business. Here are a few sites where your business might be reviewed. A site like Angie’s List is good if you have a service business. Angie’s List is a pay site. You must pay to use it. That also means the reviews are well thought out, and the information is available to other paid users. The companies are given an opportunity to respond to any review whether is negative or positive. Because it is a paysite, many false reviews are weeded out that would otherwise be present on non-pay sites. Angie’s List is a word-of-mouth network, used by more than 1.5 million households. It helps people find the best service companies and health care in their area. Urbanspoon is a wonderful review site for restaurants. It is a free site and gives the user reviews from critics, food bloggers, and people. The wonderful thing about Urbanspoon is you can literally find a fabulous restaurant when visiting any city. It also gives you the most recently blogged about and reviewed restaurants. You can find great restaurants based on ratings, type of food, price and most popular. Pictures and food recommendations are also on the site. If you own or manage a restaurant, it is a must to be on this site and be receiving outstanding reviews by your customers. Yelp is for all businesses. As a business, you can write a detailed business description for your company, add photos, offer discounts and other daily information from awards to press releases. Yelp helps connect people to great businesses. As a business, you’ are able to communicate with people that have taken the time to provide a review. You can track how many people view your business page. 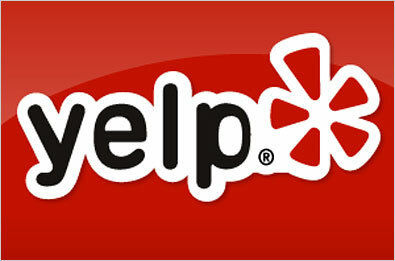 Over 84 million people visited Yelp in Q3 2012 to help make spending decisions. You should use Yelp to help get the most out of business’s online presence. We have listed three online review sites; however, there are hundreds of others, with new online review sites popping up daily. It’s up to you to determine what and where you want your presence known. Remember you can’t influence everyone; however, you don’t want too many negative reviews. Ask customers that you think will give your business positive reviews to comment and in return give them a discount. And, don’t ignore negative reviews, respond to them and try to win them back as a customer. Develop a strategy to get great reviews from your customer. Online review sites could be your best free marketing tool…use them to your advantage. Once you have them, of course you must have them framed as a feature piece to display for all to see. Get a glimpse of how great your review will look in a custom online review plaque with our FREE, no-obligation preview.